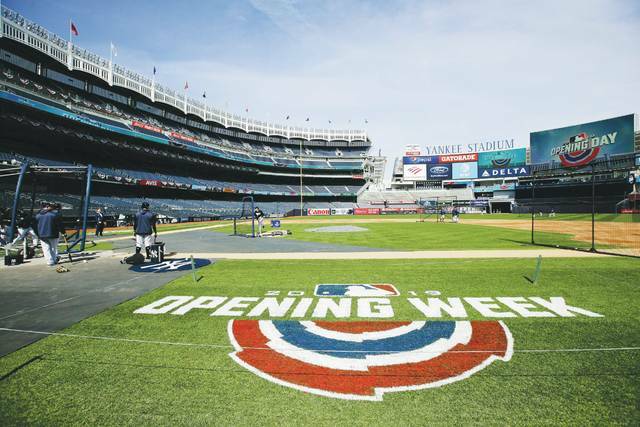 With Thursday marking the start of the 2019 major league baseball season, a fresh start and optimism wait upon each and every team. The offseason saw three record-breaking contracts being dealt out. Manny Machado and Bryce Harper went to San Diego and Philadelphia respectively, each signing $300 million-plus contracts. Mike Trout topped them both with a record-breaking 12-year $430 million extension with the Angels, the biggest contract in MLB history. The defending champion Boston Red Sox will look to defend their title with the core of their team being kept intact. However, teams such as the Houston Astros and New York Yankees will make that tough. In the National League, the Dodgers are going to try to win their third straight pennant. With the loaded central and East divisions, nothing will come easy. Here are my 2019 predictions, sleeper teams, and players to watch from each division during the 2019 season. After hosting two of the three teams in the league last year, 2019 is shaping up to be similar. The Yankees and Red Sox will once again compete for the division crown. With the Sox losing bullpen talent and New York strengthening their rotation with off-season acquisition James Paxton, the result may change. The Tampa Bay Rays won’t be far behind with Cy Young winner Blake Snell and their stellar pitching staff. Manager Kevin Cash will continue to use an “Opener” with the rest of the league slowly following along. The Baltimore Orioles and Toronto Blue Jays will round out the division with both teams being in rebuild mode. The Blue Jays, however, have one of the games’ brightest young prospects in Vladimir Guerrero Jr. The third baseman is the top-ranked prospect in all of baseball. New manager Brandon Hyde is taking over the Orioles as they go through the eye of their rebuild. With old faces such as Adam Jones, Manny Machado, and Zach Britton all gone, Baltimore will look to create their next batch of stars in 2019. For the fourth year in a row, the Cleveland Indians will claim the central division crown. No other team in the division is in a position to knock them off. The Minnesota Twins followed a 2017 wild-card game appearance with a losing season in 2018. However, line-up additions of Nelson Cruz, Marwin Gonzalez, and Jonathan Schoop should improve their offense. Coupled by healthy seasons from Byron Buxton and Miguel Sano. As their top pitcher, Jose Berrios will head a pitching staff for the Twins as he continues to ascend as a top young pitcher. The Chicago White Sox fielded the youngest team in 2018 with an average age of 26.1 years old. Behind a core of young players featuring Yoan Moncada, Chicago still has some growing to do. However, if some of the young players make improvements in consistency, a .500 record isn’t out of the realm of possibility. The Tigers and Royals both feature some of the most extreme roster turnover in just the last three years. Detroit is facing some hard news to start the season after their ace pitcher Michael Fulmer announced he would have to undergo the dreaded Tommy-John surgery. With veterans rounding out the roster, Detroit looks to have another long year ahead. The same can be said for the Royals who brought back a similar roster to 2018. Alex Gordon and Salvador Perez continue to headline the team as Whit Merrifield will look to take the next step towards stardom. The Houston Astros enter 2019 with their third straight 100-win season in their sights. Behind a line-up featuring Alex Bregman, Carlos Correa, Jose Altuve, George Springer and more, the Stros will put up a lot of runs. With Charlie Morton and Dallas Keuchel both departing in the offseason, the starting rotation took a hit. Still, with Justin Verlander and Gerrit Cole at the top of the rotation, Houston should be fine. After being the surprise of 2018 with 97 wins, the Oakland A’s may take a step back. A dangerous line-up lead by Khris Davis and Matt Chapman won’t be the problem. A pitching staff featuring the departure of Trevor Cahill and ace Sean Manaea starting the season on the 60-day disabled list will. If healthy though, Oakland will be in the thick of things again. Remaining are three teams with huge question marks. Mike Trout is fresh off the previously mentioned record-breaking extension. However whether or not the Angels are surrounded with enough talent around him remains to be seen. With only one playoff appearance in the last nine years, Los Angeles can’t continue to waste Trout’s prime years. Sneaky additions of Jonathan Lucroy and Trevor Cahill, as well as a full season of health for Shohei Ohtani, will go a long way towards 2019 success. The Mariners lost both Nelson Cruz and Robinson Cano from the core of their line-up. 2019 will be the year Seattle faces the start of another rebuild barring bounce back years from Edwin Encarnacion and Felix Hernandez. Lastly, the Texas Rangers featured a quiet offseason. After a horrid 2018, it should be easy to see why fans weren’t too thrilled with that decision. But hey, watching Joey Gallo hit 40 plus home runs should still be fun. Welcome to the division causing the most dispute in 2019. Outside of the Miami Marlins, any team can win this division. The city of Philadelphia continues to go through a sports renaissance after signing Bryce Harper to a massive $330 million contract. Toss in J.T. Realmuto, Jean Segura, and Andrew McCutchen, and the Phillies look like they’re in business. Aaron Nola will only continue to grow after his 2018 Cy Young finalist season. So will the Phillies after narrowly finishing second in the division last year. The New York Mets, more commonly referred to as the “other team in New York” made some offseason splashes. Acquiring Robinson Cano and Edwin Diaz injected star power into a roster lacking just that. With one of the top rotations in baseball featuring Jacob DeGrom and Noah Syndergaard, the Mets can match arms with anyone. Add on the debut of exciting prospect Pete Alonso and here come the Mets. Of all the 2018 division winners, perhaps none as much as the Braves have been seemingly slept on. That is hard to imagine considering they feature a young duo of Ozzie Albies and Ronald Acuna Jr, as well as star first baseman Freddie Freeman. If anything, the Braves should continue to ascend by adding veteran presences in Josh Donaldson and Brian McCann. With 2018 breakout star Mike Foltynewicz leading the pitching staff, Atlanta isn’t going away. Any time a team has to see their franchise player leave, for nothing at that, it is tough to watch. Harper connected with the fanbase but ultimately failed to bring them a ring after many promising years. The Nats instead added the top pitching free agent Patrick Corbin to a rotation with Max Scherzer and Stephen Strasburg already present. And besides, the Nats may have their next franchise cornerstone in outfielder Juan Soto. Miami rounds out an otherwise competitive division as another year of the Derek Jeter owned rebuild continues. With talent such as Giancarlo Stanton, Christian Yelich and Realmuto all traded within the last two years, the Marlin fans are going through the wringer. While the East may be up for grabs, the central should even more so be expected to be a blood bath. The Brewers had a great 2018 ending in the championship series, but the Cubs and Cardinals are reloaded and ready to knock them off. Milwaukee not only features the 2018 MVP in Yelich but also power up and down the line-up. Mike Moustakas, Ryan Braun, Eric Thames, Jesus Aguilar make their offense lethal. The Brewers feature a shaky rotation, but a solid bullpen featuring one of the games’ top young closers in Josh Hader. Kris Bryant, Javier Baez, Anthony Rizzo, Ben Zobrist, Jason Heyward, Kyle Schwarber and Addison Russell make up and equally dangerous Cubs line-up. Featuring speed and power the offense has it all. However, if they want to avenge a 2018 wild-card game loss to the Rockies, the starting rotation will have to step up. Yu Darvish, Cole Hamels, Jon Lester, and Jose Quintana can all be either really good or really bad. Here’s to hoping for Chicago fans that they’re good because if they are, the Cubs have to be world series contenders. The second most winningest team in baseball history continues to stick around as the Cards had a solid offseason. They picked up former MVP Paul Goldschmidt and relief specialist Andrew Miller. An offense featuring Matt Carpenter and Marcell Ozuna got even better. Much like the Brewers, their shaky rotation may spell doom though. Unlike the Brewers, they don’t have the same caliber of a bullpen to hide their starters. As for the Pittsburgh Pirates, if it means anything, they may be the best last place team in baseball. After a fourth-place division finish saw the team still finish over .500, they added a couple of players. Don’t look now but the Reds’ rebuild may be approaching the light at the end of the tunnel. Or at least almost there. Joey Votto continues to headline a line-up featuring Scooter Gennett with newcomers Matt Kemp and Yasiel Puig, as well as rising star Eugenio Suarez. Alex Wood came over in the trade from the Dodgers with Kemp and Puig and will lead the rotation as their number one pitcher. The only problem with that is, well, Alex Wood has no help behind him. The Reds lack pitching and expect to start 2019 with question marks up and down their rotation including offseason acquisition Sonny Gray from the Yankees. Mainly starting pitcher Chris Archer to now head their rotation. The Pirates aren’t bad, they just face the bad luck of being in the deepest division in baseball. Will 2019 be the year the Dodgers give up their division crown? Not looking likely. Sure Los Angeles lost some offensive talent in Matt Kemp and Yasiel Puig, as well as not re-signing Manny Machado. This team is still loaded though. Corey Seager returns from Tommy John surgery which cost him the 2018 season. Cody Bellinger and Justin Turner still sit in the heart of the lineup while Chris Taylor, Max Muncy, newcomer A.J. Pollock, and familiar face Russell Martin round out a solid offensive attack. The scary part is the offense might be the weakest part of this Dodger team. The rotation still features Clayton Kershaw, as well as Hyun-Jin Ryu and Kenta Maeda. The bullpen spent 2018 searching for consistent ways to get Kenley Jansen the ball, but Joe Kelly looks to be the perfect solution. The Rockies will always hit. That’s just a fact based off where they play. Nolan Arenado, Charlie Blackmon, Trevor Story and the rest will put up runs. The rotation is pretty solid too. With Jon Gray and Kyle Freeland at the top, Colorado has pitching. Depth is the only concern as the expectations for the rest of their pitching varies based on your level of optimism. Much like the Nationals, the Diamondbacks saw the face of their franchise depart in Paul Goldschmidt. Unlike the Nationals, they lost their second best player as well. While Goldschmidt went to the Cardinals, Patrick Corbin left for the Nationals, leaving Arizona with major pitching question marks after Zack Greinke. This team may not be the worst team in their division yet, but a rebuild looks like it is on the horizon. Some Giant fans like to live off the nostalgia of the 2010, 2012, and 2014 championships. This serves well to numb the disappointment this team has faced the last four seasons. 2019 looks no different. The Giants feature a roster with Evan Longoria, Johnny Cueto, and Jeff Samardzija. All three serve as players who haven’t lived up to expectations since joining the team. Sure Buster Posey still exists on offense, and sure, Madison Bumgarner leads their rotation. But the optimism ends there for this San Francisco ball club. Then come the Padres. A team that hasn’t had a .500 season since 2010, nor seen the playoffs since 2006. One of the worst teams in baseball in recent memory though is on the rise. The Padres joined the Phillies in big splash moves by acquiring coveted free agent Manny Machado. He joins a line-up with Will Myers, Eric Hosmer, and one of the youngest most exciting prospects in the game Fernando Tatis Jr.
Much like Guerrero for Toronto, Tatis is expected to bring fast and solid results to the ball club. As for the pitching, the Padres are young. They may not be ready for stardom yet, but the best farm system in the league is on the rise. Second-year pitchers Joey Lucchesi and Eric Lauer will lead the young rotation as the Padres quest for being a winning team continues. The biggest questions surround star Manny Machado though. Yes the team is young and on the rise, but will his attitude reflect patience and understanding? Or will his frustrations cast . a dark shadow over the young Padres. Only time will tell.